These are some stationery goodies I picked up at Paper-Ya in Vancouver. Everything in that store was drool-worthy, especially their selection of notebooks. And this mustache guy was hard to ignore. 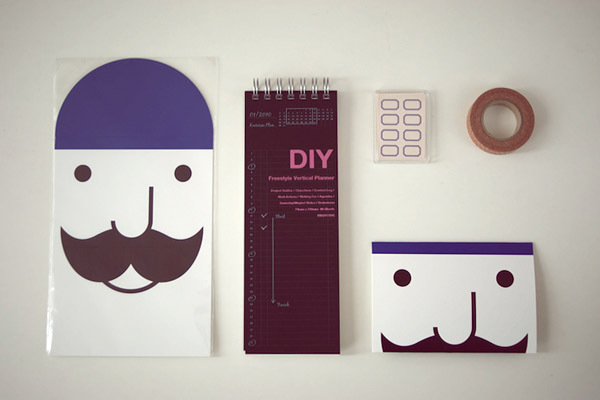 It's a letter card set by jstory, a Korean brand I've never seen before, and Mr. Mustache has a name. Mr. Babba. According to the website, he's always busy ("babba" in Korean can mean "busy"), and the one thing that will make him pause and enjoy is a cup of coffee. Ha! I wonder if he'll pause to read my letter if I send this to him. love the polaroids in vancouver. oh, and the diy notebook up there!